The nicest thing anyone has ever done for me was done for me by my mother. My mum was en route to Japan from the US as I went into labour, arriving near midnight after a long flight made longer by delays and missed connections. She was there by my side, my touchstone and foundation, as I worked and laboured for 23 hours to bring my girl into the world. 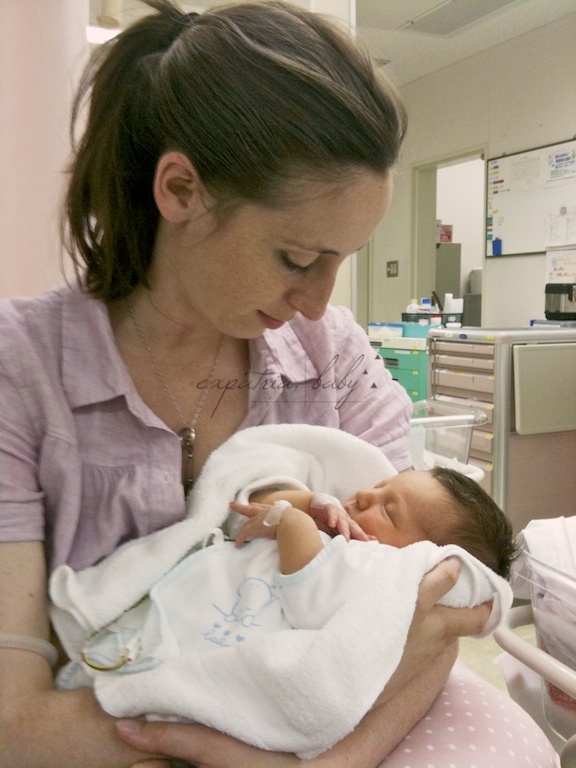 She was there, as I traveled across the city twice a day to visit my girl in the NICU. She was there to hold my baby while I slept. To understand and empathize through colic, extreme sleeplessness, and level nine culture shock. She disrupted her life, spent six weeks in our tiny apartment in Japan, and carried me through the newborn weeks. Here's my five minute brain dump. Okay. Seven minutes. But I stopped to text mid-stream. I hope that's okay. You can join too, at All Things Fadra. Just set a timer. Five minutes. Write. And link up. Sundays. I went for a walk yesterday. By myself. I was downtown. I didn't have anywhere to go, so I followed a tangle of power lines up and down side streets. I watched the blue seep out of the sky and the clouds flare red for a moment. I put my headphones in, and turned my music up a bit too loud. I drifted around downtown. I didn't think about the laundry that I left in the machine, or what was for dinner, or the clothes that I had taken in off the balcony and dumped, unfolded on my bed. I didn't think about sippy cups or snacks or diapers or creative ways to avoid a flailing arms and an arched back and no you may not run away from me and into traffic. I didn't think about how people ask me "what does your husband do" and about how that makes me want to punch them in the face because don't they know I have value beyond his career status. Okay, maybe I thought about that a bit. I just roamed. And listened. And watched the neon lights flicker on. And remembered, for a moment, what it was like to come home at 5 am when the blue was just beginning to trickle into the sky and the clouds flared with pink and how I looked forward to my cold sheets and I would go to sleep and wake up at noon. Then I got home and we all had dinner. I helped my husband give my girl a bath and do the dishes and went to bed at nine. Today Stella and I getting on a plane and heading back to North America to visit my parents. This is exciting for many reasons, not the least of which is UNLIMITED FREE BABYSITTING. After confirming my travel dates with my parents, they were like, "Oh, yeah, about that. See, ummmm, three days after you arrive, we're going up to the cottage with our friends and YOU CAN'T COME. SEE YA!" So, as a consolation prize, my two sisters and brother-in-(common)-law are coming down from Canada and we're all staying home alone at my parents' house with Stella. We will be reliving old times, throwing an epic party that will be attended by us and the two elderly dogs. But there will be unlimited popsicles! That, or we will be calling my parents crying and raging at each other and demanding that the parental units mediate a savage sisterly dispute over who gets to be the boss of the TV remote control. Well, another weekend, another road trip with the baby. You know, we had been in one place for about two weeks, so BETTER KEEP MOVING. This time it was a quick little jaunt - a four hour drive up to Canada on Sunday and a return trip on Monday. In the snow. LIke lots of snow. So much that it stayed on the ground for like, a whole day. ARRGGGGHHHSSSMASH I AM SO ANGRY IT IS APRIL 19TH AND NOT FEBRUARY 19TH WHAT IN THE HELLS NATURE, WHY ARE YOU DOING THIS TO ME. My mum, Stella and I drove up to Canada for a family reunion / anniversary of my late grandfather’s memorial. It was wonderful for Stella to spend time with family that I rarely have the opportunity to see, and as an added bonus, the two four-hour drives gave me some time to whittle away at the masses of video that I have sitting on my hard drive. Well, internet, you'll be happy to hear that Stella and I and my mum successfully made it across the border and are now back in the USA, having left a trail of disease and pestilence in our wake. While we were in Canada, we had plans to visit my Grannie. These plans were almost thwarted by my mother's disease, my daughter's rivers of snot, and my Grandmother's own (denied) case of Norwalk. However, that crafty woman managed to escape her retirement residence's lockdown to come out for a nice lunch with us. Now, I've written about my grandmother before on Expatria Baby, and prior to reading the account of my most recent visit with her, I suggest that you brush up on your Grannie 101 here. Since she's met Stella, some classic Hilariously Difficult Grannieisms have been hurled forth, and I would like to share them with you now. Okay, GO! Scene: After dinner, my Kind and Generous Aunt's house; Mother, Middle Sister and Grannie putting on coats, Aunty and me, baby on hip, seeing them off. Grannie: You know, I once knew someone named Stella. I never cared for her much. So, you see, this is all rather awkward. BYE! Scene: Living Room, Stella and Grannie reunited for the first time in two months. Grannie: Look at those dark eyes! They’re almost black. I’ve never seen a baby with such BLACK eyes. Oh my. You know, no one in my family has ever had dark eyes. So I’m finding this rather difficult to deal with. Scene: Sitting round the kitchen table, me, my aunt, my mum; Grannie on speaker phone. Grannie: it was lovely to see that little baby. She sure is cute. You know, last time I saw her, she wasn’t very cute. She was a funny wee thing. But now she has a little personality. Aunt: Well, you saw her at Christmas, and she was pretty cute then! Grannie: Well. No. I didn’t think she was very cute. Aunt: (noticing my distress) I thought she was cute. And, besides, it’s not just about the looks. She does cute things. She has a cute personality. Grannie: Not really. She was a strange wee thing. But she is cute now. And there you have it, folks. Now, don't you wish you had a membership card for this family?